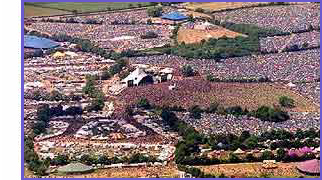 Blur fans can expect to see the band play at this summer's Glastonbury Festival, Michael Eavis has said. 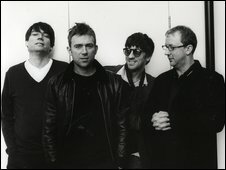 "You can look forward to that yeah, but it's not officially announced yet," he said when asked if Blur were lined-up. Blur have been rumoured as headliners for Glastonbury since it was announced they were reforming nine years after their last gig as a four-piece band. The news comes after Blur's Damon Albarn and Graham Coxon performed This Is A Low at the NME Awards this week.